It’s closer than I thought. Though to put it in perspective I’ve not had eighteen weeks to prepare for a race in a long,long time. Admittedly I do have one other major race in the middle of this period. My place on the GB age group team for the ITU Long Distance Triathlon World Championship is now confirmed. 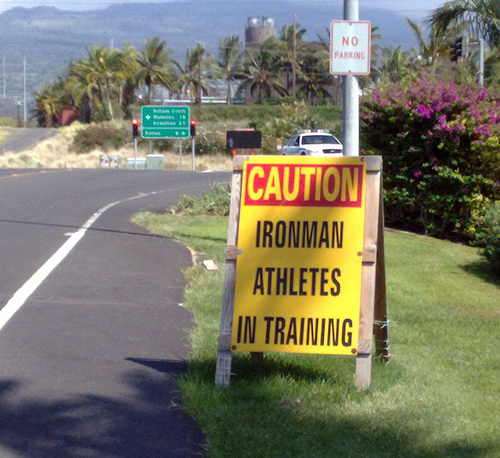 That feels more like a logical step on the path to a successful race in Hawaii than cramming in extra races. Monday morning my Kona build begins. I’m not planning to repeat last year’s weekly analysis of my training that was fine when it was seven weeks, but eighteen seems too much. I’ll start off by writing about my aims for the coming months. A step towards leaving behind the slightly unproductive self of the last two weeks and becoming the focussed athlete I need to be. Whilst I’ve mostly stuck to recovery this week (in other words sat around a lot) I did make the switch to the Paleo diet. I’ve visited the topic a number of times before and I don’t think it takes much to come away from this blog thinking I’m weight obsessed! Truth is I am. There’s a definite correlation between my weight and my race performance to the extent I feel both New Zealand and Lanzarote went better than I’d expect from race weight. Just think how they’d have gone if I’d been properly light! The goal is to reach my race weight (around 69-70kg) by mid-July. I’ll then be able to test things out at ITU Worlds in Germany, but more importantly the final two months of training will be at race weight. Being able to focus just on the training and put weight loss aside is sure to be a benefit at that point. It also give the opportunity to experiment going slightly lighter. I don’t think there’s that much room to go lower, but I have been as light as 66-67kg in the distant past. I don’t want this to turn into a weight watchers blog so let’s focus on what I’ll actually be doing to get fitter in the next few months. Some of my recovery has been spent planning the next couple of months of training. The focus is run and swim with cycling taking a back footing. There’s plenty of room to improve the bike, but I want to focus on making the most of my strength and reducing my weaknesses. I’ll be working to maintain my current level of cycling, but the aim is to be on the bike sooner and to be quicker once I’m off it. 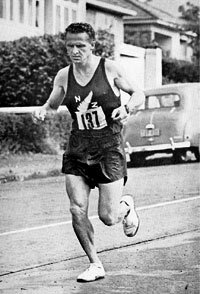 During my months in New Zealand I spent a few ferry trips into the city reading about Arthur Lydiard. I liked the approach perhaps for no other reason than similarities to my own attitude towards training. To that end I decided that once Lanzarote was out the way I’d structure my run training using the Lydiard system. Lydiard was a fan of big mileage typically giving his runners something in the order of 100 miles a week. Whilst he advocated running as much as possible and believed you should run as much as you could he also prescribed a series of sessions to perform. On the larger scale he felt runners did too much high intensity work and not enough aerobic conditioning. The plan starts with a period of pure aerobic conditioning. This shouldn’t be confused with easy running which whilst there is plenty of that there are regular time trials, hillier runs and the weekly long run. This period should be as long as you can allow before you embark on a month of strength orientated work. Utilising hill repeats and structured sessions with short burst of sprinting to develop greater leg strength. Building this into the plan takes me up to the ITU Long Distance Worlds. Following the race I’ll embark on a month of anaerobic training where I focus more on structured track work, sprinting and harder efforts. All the time Lydiard believes you should have plenty of aerobic running too. The final period continues the theme from the anaerobic phase, but becomes a little more race focused in terms of the sessions you perform. Part of Lydiard’s reasoning for such high run volume was the aerobic fitness it develops. As a triathlete I also develop the aerobic system through cycling and swimming. That said my aim is to maintain as high a volume of running as possible and as a specific goal have at least one 100 mile run week. Since I became a triathlete I’ve largely let running tick along, relying on the speed I’d developed in the past to get me through. It’s a change to adopt such a structured program and a challenge too. Despite saying I’ll focus on running, consciously cutting back cycling proved more difficult than I imagined. It’s all too easy to build an unrealistic plan where I’ll run 100 miles, bike 300 and swim 20 all in one week. The hours required fit and allow time for eating and sleeping, but the reality of executing that is another matter! 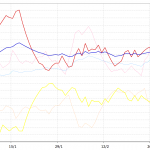 I think I’ve achieved some degree of balance with more swimming and running and less cycling than previously averaged. The test will be the next month if I can cope for that period I can make it all the way to Kona. I’ll soon know if I’m setting expectations too high.